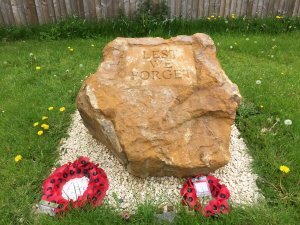 Syresham's War Memorial was generously donated by Great Tew Quarry courtesy of the History Society. It is located on Abbey Road just along from the Lime trees planted by Captain Timms to celebrate the safe return of his sons from WW1, it is looked after by the Parish Council. We meet at 10.45am on Remembrance Sunday with a full service.